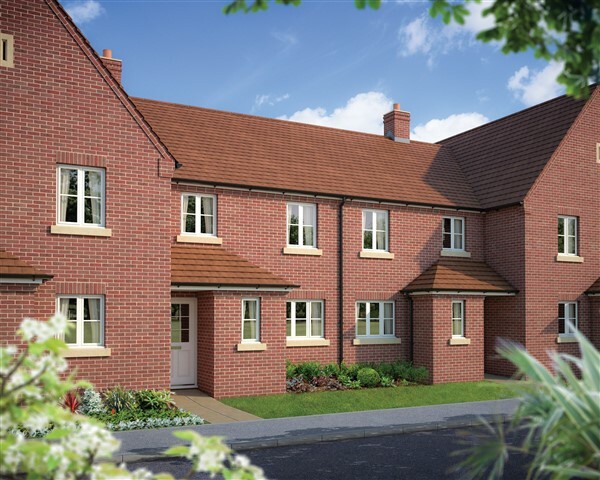 Housebuilder Bovis Homes has moved a step closer with plans to deliver 108 new homes in the village of Yapton, West Sussex, after agreeing a deal to purchase new land there. 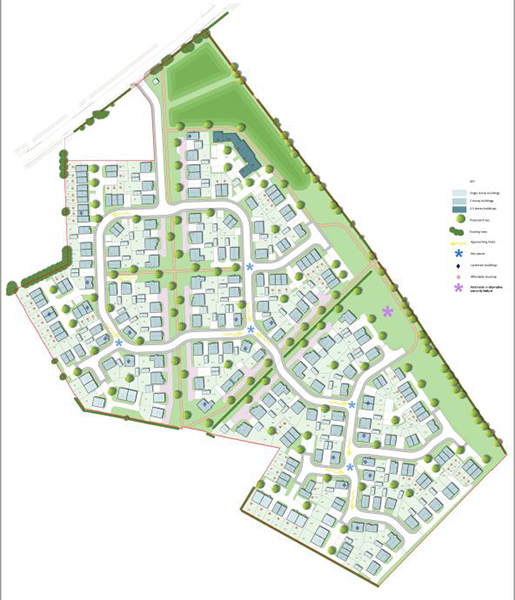 The site, located off Burndell Road, currently has outline planning permission, and Bovis Homes will now begin the process of designing a development for the site which reflects and enhances the character of the surrounding area ahead of submitting a detailed reserved matters application before the end of the year. More military personnel should join the housebuilding industry as they hold the transferrable skills necessary to ‘get to the top’, according to a former Lance Corporal in Salisbury who is doing just that. 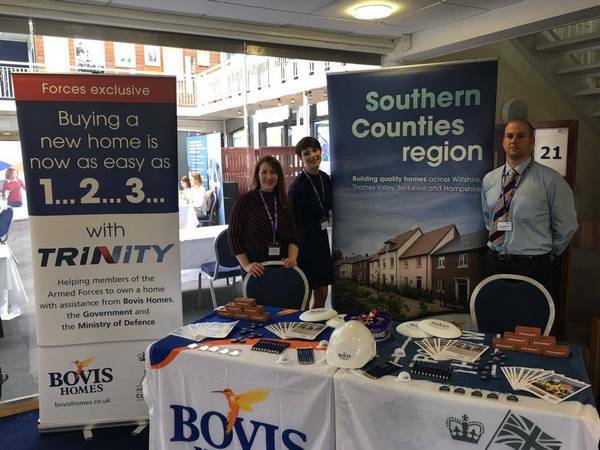 Tony Lamb, an assistant site manager at Bovis Homes’ Longhedge Village location, said ex-servicemen and women had the discipline and skills to succeed at the highest level in the new-homes sector. Firework loving families are invited to a housebuilder-backed bonfire event in Warwick this week to raise more than £25,000 for charity. Warwick Town Bonfire, which promises to be the biggest yet, will take place at Warwick Racecourse on Saturday and is being supported by Bovis Homes. A nature lover who works at a Gloucestershire house builder has captured his passion for the county in a new photography book which has hit the shelves. Aleks Gjika, a Bovis Homes employee, has his favourite snaps of the county published in his collection ‘Gloucestershire in Photographs’. 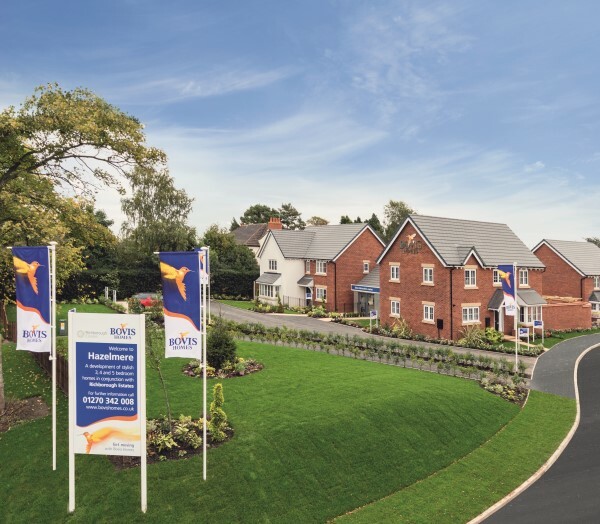 Housebuilder Bovis Homes is set to deliver 230 new homes to the village of Essington after plans were approved by South Staffordshire Council. The homes, which will be built on land off Hobnock Road to the north of the village, will include a range of properties from one-bedroom apartments through to five-bedroom family houses. It will also deliver a total of 92 properties allocated as affordable homes, for people currently unable to access the open property market. These will be managed by a local housing association. For Rebecca Eliasu and her husband Sul, free time is at a premium. So when they decided they wanted to move home, a new-build was the perfect solution. Competition win leaves Jack and Leanne Hungary for a dream move! 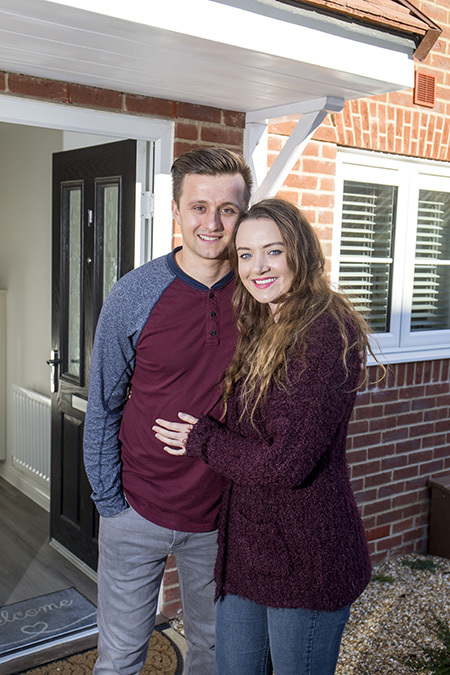 When Leanne Down and fiancé Jack George first visited Bovis Homes’ Saxons Plain location in Worthing, little did they know that they would eventually walk away with a trip to Budapest and a dream home! Leanne, a collections agent, and Jack, who works in facilities management, previously lived in South West London. They had been looking to move out of the capital for around a year. Pupils at Paddox Primary School in Rugby will never be lost for words thanks to a donation from a local housebuilder that has allowed the school to purchase over 100 dictionaries. 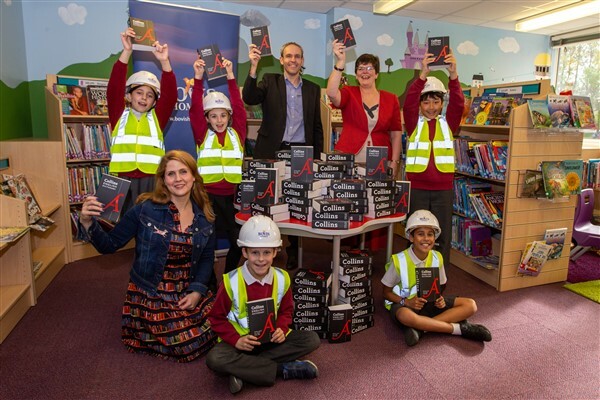 Bovis Homes stepped in with the cash boost to help the school invest in new dictionaries – and thanks to a significant discount offered by local bookshop Kenilworth Books – they have been able to secure 110 copies. Young couples have been buying new-build properties in droves at a north Devon location overlooking the River Taw. 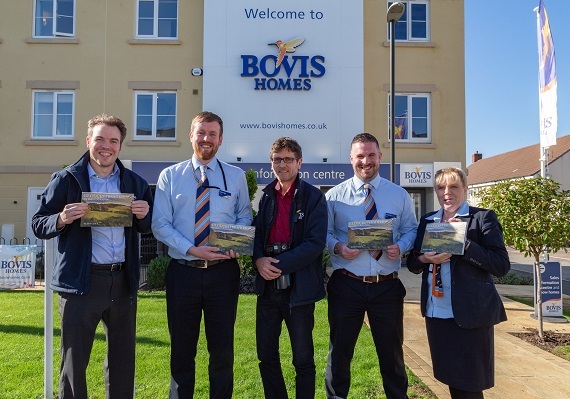 Marian Southwick, sales advisor at Bovis Homes’ Water’s Edge development in Fremington, near Barnstaple, said more and more first-time buyers in their early 30s were moving into the new homes. 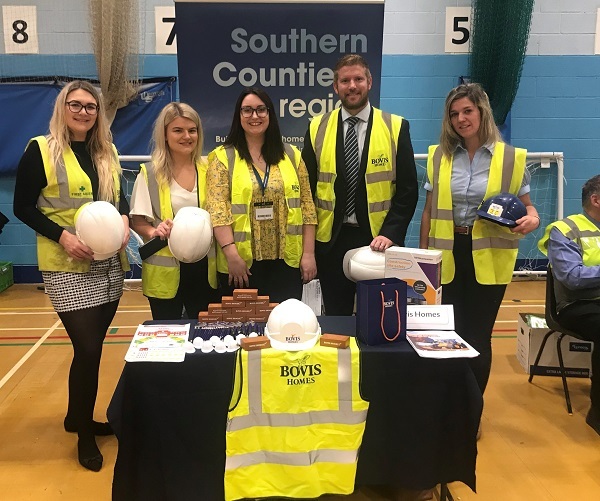 A trainee assistant site manager at a Basingstoke housebuilder returned to her former school to encourage young people to join the construction industry and deliver the homes that Hampshire needs. Amanda McCuloch, 26, who works at Bovis Homes’ Nightingale View location on Priestley Road, was part of a team of construction ambassadors from the housebuilder who visited Henry Beaufort School in Winchester. A mum-of-one who moved away from Warwickshire two decades ago, says she had to return to the county for good after visiting her family in Bidford-on-Avon for the annual fireworks and Christmas lights. 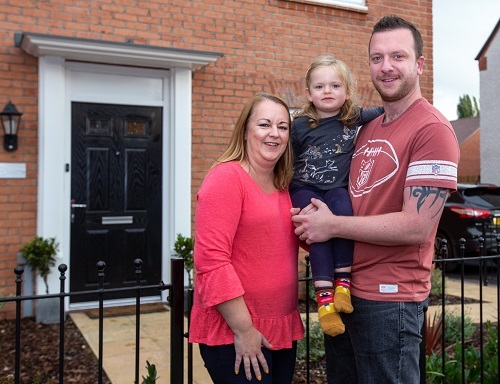 Joanne Archer has now moved to Bovis Homes’ Bidford Leys location with her husband Chris and daughter Eleanor, three, thanks to the Government’s Help to Buy – Equity Loan scheme, after her sister and parents both moved to the village. 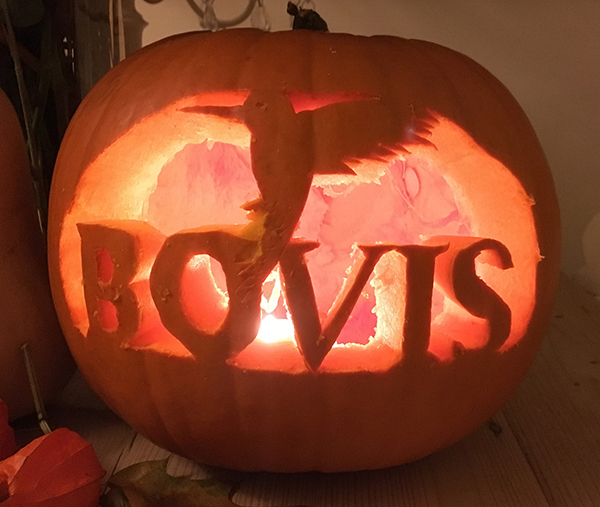 Housebuilder Bovis Homes is inviting local families to take a tour of a scarily good home at a special Halloween event at its Ribbans Park location in Ipswich. The event at the 149-home development on Foxhall Road, will see Bovis Homes’ five-bedroom ‘Dorchester’ home decked out in spooky decorations, including special pumpkins carved by representatives from local charity, East Anglian Children’s Hospice (EACH). A shocked mum from Gloucester will take family members on a whirlwind trip to Lapland to meet Santa after winning a housebuilder-backed competition. 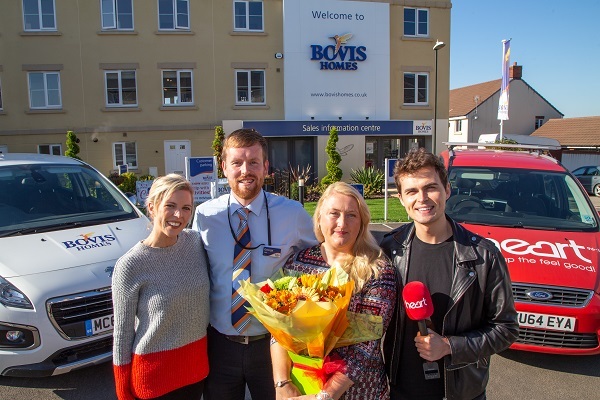 Snowmobiling and reindeer sleigh rides are in store for Kristen Harding, from Abbeydale, who won Heart Breakfast’s Home and Away phone-in, sponsored by Bovis Homes, plus £1,000 to spend on her home. An aspiring young businesswoman hoping to forge a career in the housebuilding industry is one of a record seven youngsters starting their apprenticeships at a Milton Keynes-based housebuilder. 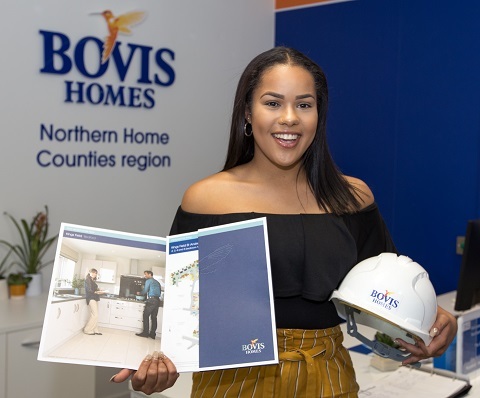 Lillie Pengelley, 18, is tackling her level 3 business administration apprenticeship at Bovis Homes, and hopes to work in the construction sector after completing it in 12 months’ time. 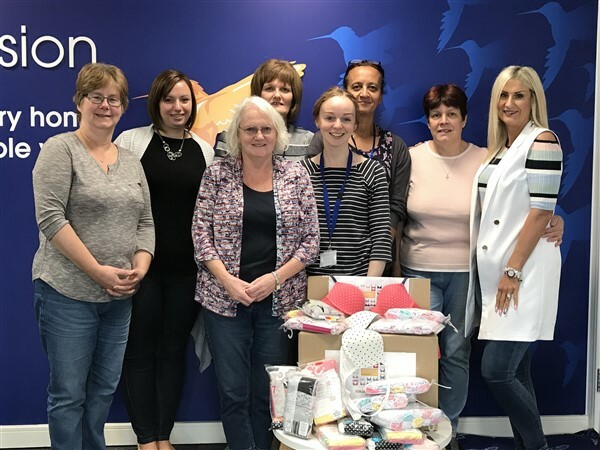 A local home builder has been supporting Smalls for All, a charity which collects and distributes underwear to help women and children in Africa. 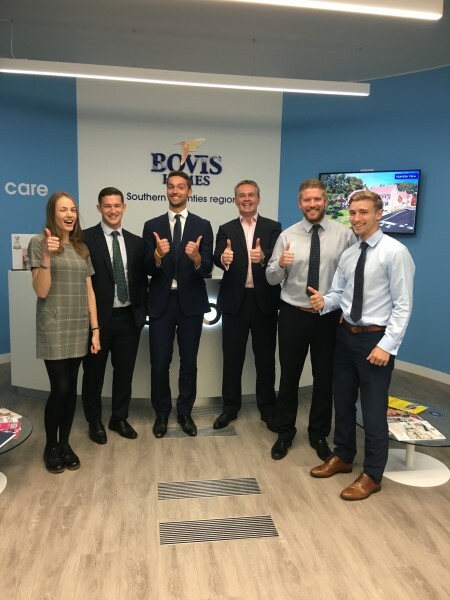 Colleagues at Bovis Homes Northern Home Counties’ head office in Milton Keynes have been raising funds and collecting items for the charity, which has also established an education programme to help some of the poorest children in Africa. 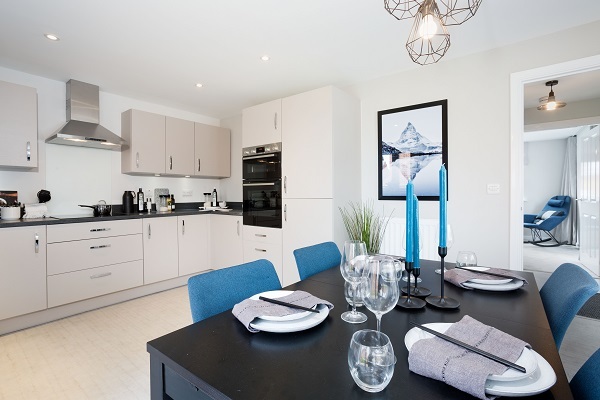 Hertfordshire home seekers have the chance to discover more about a range of properties that have just been released at a popular new part of the Hemel Hempstead community. Bovis Homes has unveiled the next chapter of Aspen Park, in Apsley, with a mix of three, four and five-bedroom properties now available on the private market. 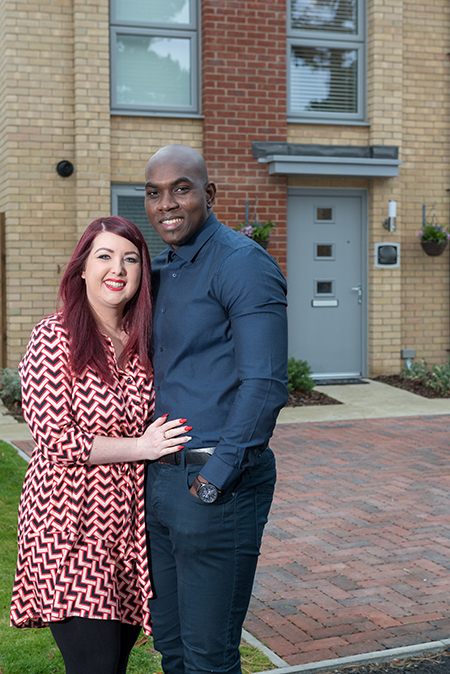 A flight attendant from Didcot was so impressed after buying a new-build home that he swapped career to join the housebuilder that built it! 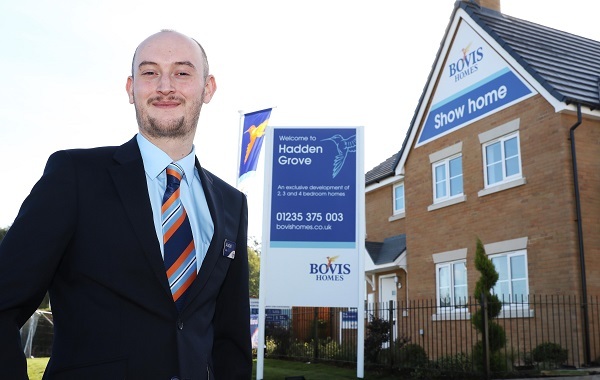 Alastair Clist, who worked as a cabin crew member for six years, was offered a job with Bovis Homes as a sales advisor in Hadden Hill and, after snapping up the chance, is now hoping to see his career take off. An Irish dancer from Congleton says her stage experience is helping her deliver for customers at a local new-home location. Claire Blatchford, 32, said her move into the construction industry was a step in the right direction as the confidence she gets from dancing has helped her to win a prestigious award with Bovis Homes. A local house builder is hosting a special event this weekend at a new Cambridgeshire community and it’s set to be a spooktacular occasion! There will be more treats than tricks for visitors to Bovis Homes’ Northstowe location on Saturday 27th October as the house builder unveils its new show home and sales centre. 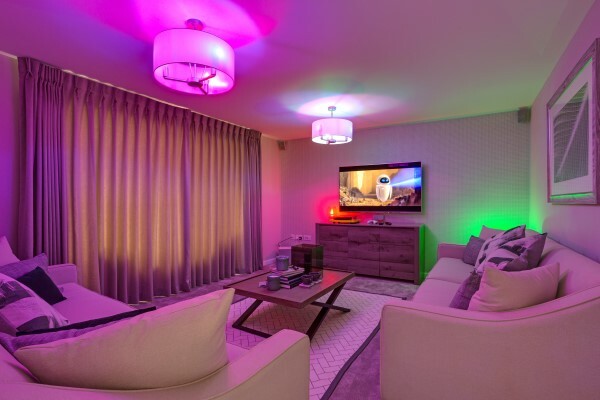 Buyers have the opportunity to future-proof their home with this innovative set-up, which tidies all wires out of sight and allows all the devices in the property to be controlled by a smart home app on a phone or tablet. Keen to get on the property ladder and armed with a good knowledge of the housing industry, Jade Olds and her husband John knew just the place to start their search. 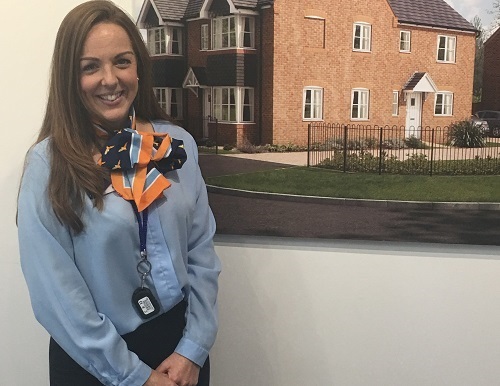 Working as a sales advisor at Bovis Homes’ High View location in Paulton, Jade knew better than anyone else that this would be the perfect place for her family to live, and she didn’t need to worry about persuading her husband, as he had worked there too! Home hunters could have their Christmas taken care of as a house builder is giving away a special gift which could save buyers thousands of pounds this festive season. 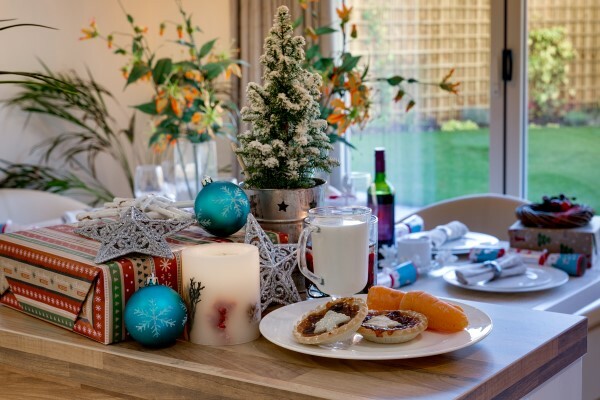 Bovis Homes will be treating customers who reserve a selected home to a special Christmas package, which will ensure food, gifts and decorations are all taken care of this December. 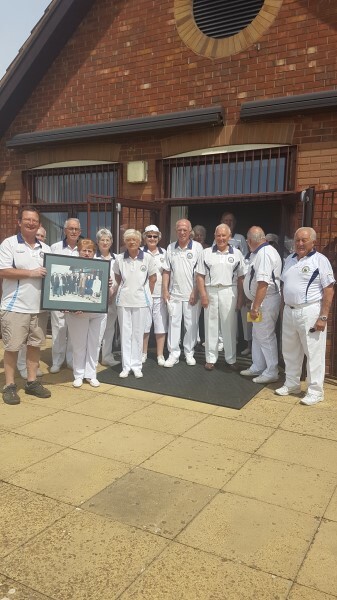 A local home builder was pleased to reconnect with a Gloucestershire bowls club after almost 20 years, to help raise funds to make improvements to their clubhouse. Bovis Homes contributed £500 to help Pineholt Bowls Club install new emergency doors at the club’s home in Hucclecote, which was originally constructed by the house builder nearly two decades ago. 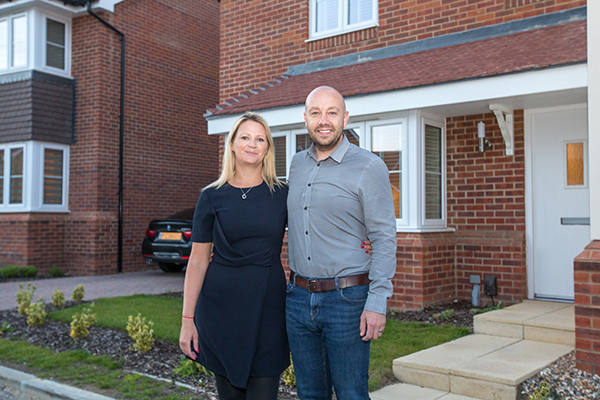 Families looking to settle down in a stylish home with bags of vibrancy should look no further than Bovis Homes’ Nantwich location, says one interior designer – and he has the science to back him up! Jon Pilling, of Abode Interiors, said the housebuilder’s three-bedroom show home at its Pear Tree Meadows location in Cheshire would attract buyers with a taste for luxury. 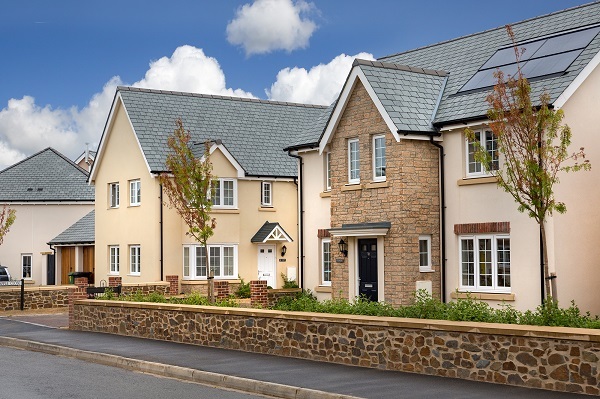 National housebuilder Bovis Homes has entered into a joint venture with housing provider LiveWest to build 398 new homes in Tavistock. 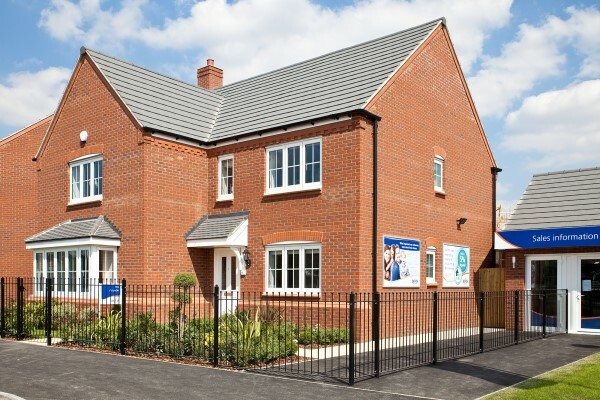 With a range of executive style homes, attractive public open spaces and a location that puts it in the heart of the county with great transport links, Haygate Fields has made its mark on the local housing market. There will be more than ghosts and ghouls surprising visitors at Bovis Homes’ Haslington Halloween event next weekend, as the local house builder shows off the amazing smart technology available in its new homes. On Saturday 20th and Sunday 21st October, Bovis Homes will be hosting a special Halloween weekend at its Hazelmere location, giving house hunters the chance to look around the show home and find out more about its brand-new connected properties. Music lovers at a charity near Wells have danced the day away at their first silent disco thanks to support from a Somerset housebuilder. 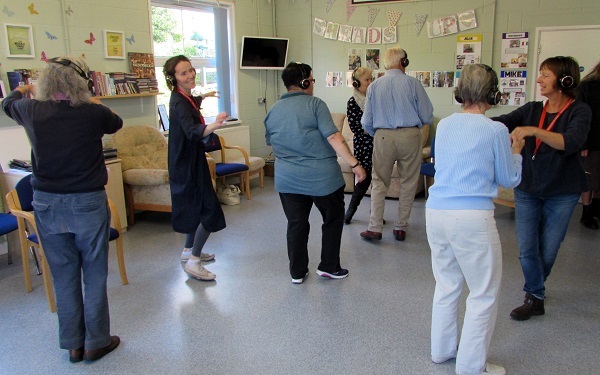 And visitors at Heads Up, which supports people who are affected by mental illness across the Mendip region, will now be able to get into the groove on a regular basis after a £500 donation by Bovis Homes. An adventurous college student from Eccleshall is celebrating after receiving support from the housebuilder constructing her aunt’s new home. 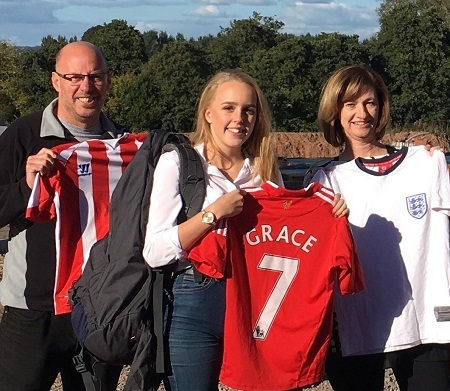 Grace Hunt, 17, has been given £600 by Bovis Homes, to help her take part in a two-week immersion trip to Sierra Leone, where she will teach subjects including English and Maths to school pupils. 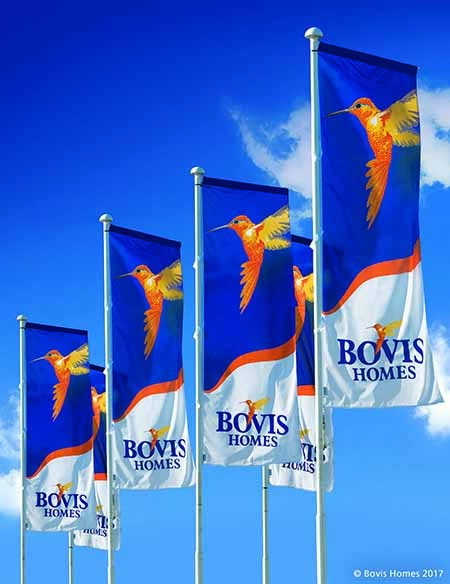 An improved digital presence and a new focus on engaging potential recruits has delivered significant results for Bovis Homes. 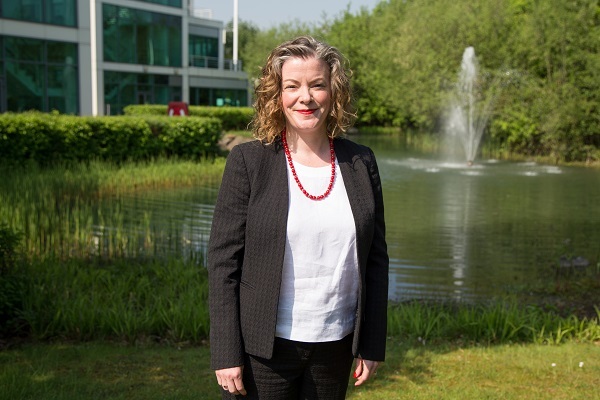 Vicky Beckwith, head of HR at the housebuilder, which has locations across England, said that the business was attracting top-class recruits across the workforce, from directors to apprentices, thanks to a shift in culture, which has also seen a 22 per cent rise in female staff numbers over the past three years. A forever home for serial mover Paul! In his work life, Paul Cogger is a creature of habit, having worked for the same company for more than 20 years. But when it comes to buying houses, he’s quite different – in fact, he’s owned a total of five in the last five years! 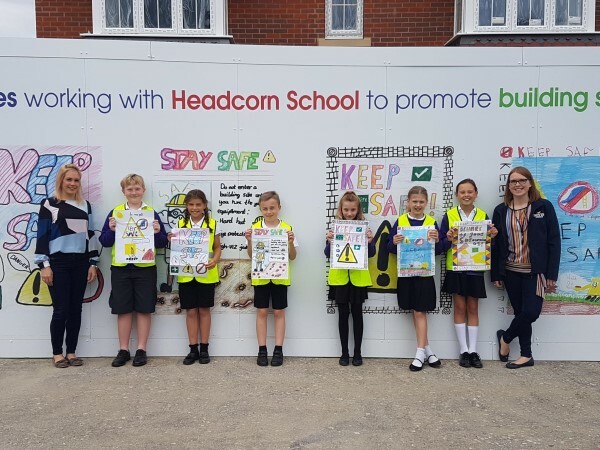 A new Kent development is showing off the creative talents of local school children, following a competition that has seen the students’ drawings blown-up and displayed on the site’s hoarding. A group of Year 5 and 6 pupils at Headcorn Primary School have seen their drawings turned into graphics around Bovis Homes’ Catkin Gardens location after winning a competition held by the house builder. With a new range of homes now available and an incredible festive offer just announced, this is the perfect time to find your dream Bovis home at Bowbrook Meadows in Shrewsbury. This flourishing new part of the Shropshire community has welcomed many residents in recent years and the neighbourhood is set to greet many more happy home buyers as the house builder releases a brand-new range of properties. Set in the heart of Cheshire and with the county’s largest ancient woodland on thedoorstep, Bovis Homes’Forest Edge in Cuddington has grown into a popular new part of the community. Bovis Homes has welcomed many new residents to the flourishing new neighbourhood, and the house builder is now looking to complete the community after releasing the final homes – and they are signing off with some stunners. 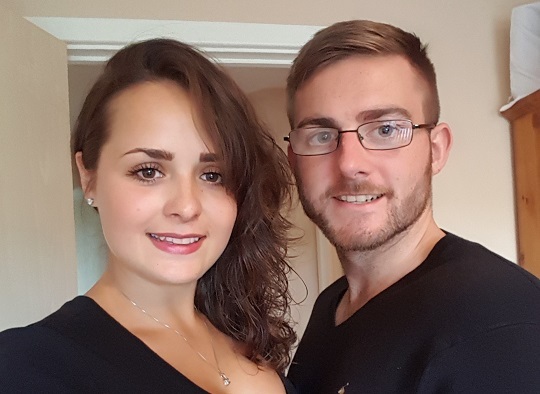 First-time buyer Danny Clifford, 25, has reserved a four-bedroom townhouse at Bovis Homes’ Augustus Park location in Coopers Edge, after saving up with his fiancée Judy Walker. And knowing the team who are behind the construction of their home has given Danny, who manages a site near Swindon, real reassurance that it will be built to the highest standards. A local house builder is helping four intrepid fundraisers make a splash by supporting a quartet of Devon hockey players who will be swapping their sticks for oars this December to row across the Atlantic Ocean. 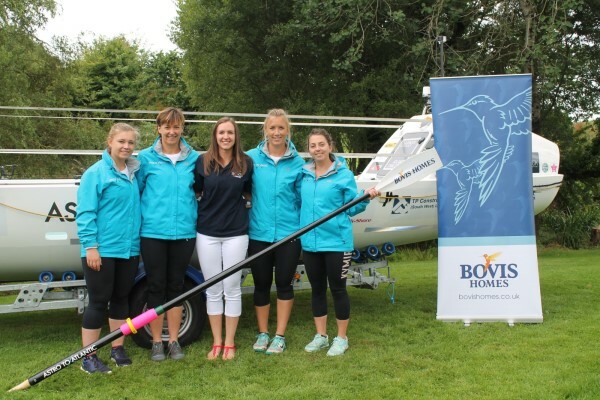 Bovis Homes is sponsoring ‘Astro to Atlantic’, a team of four girls - Louise Read, Helen Symons, Chloe Harvey and Emily Read – who are taking part in one of the world’s toughest races, The Talisker Whiskey Atlantic Challenge. Staff at Bovis Homes will be taking part in Exeter’s Great West Run next weekend in memory of a colleague who lost his battle with cancer earlier this year. Andy Fraser, Ruth Burrows, Tarryn Lowth, Ryan Joint, John Drewett and Maxwell Rafferty will be running the course, which is over 13 miles long, to raise funds for FORCE Cancer Charity. 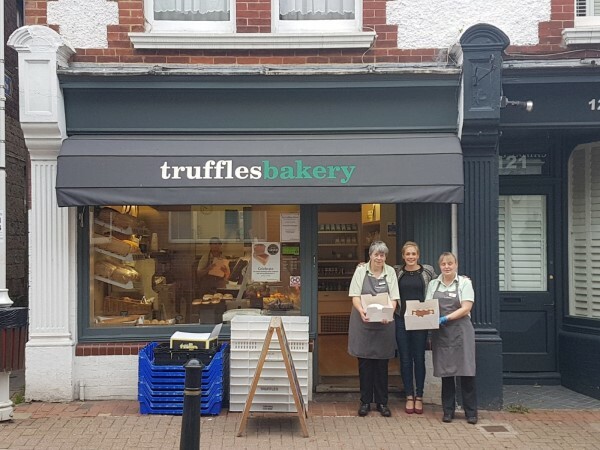 A local house builder and a Hurstpierpoint bakery have joined forces to raise nearly £700 for Macmillan Cancer Support. The money was raised when the Bovis Homes Sales team at Bramble Park hosted a Macmillan Coffee Morning at their show home, with nearby Truffles Bakery supplying a range of treats for the guests. 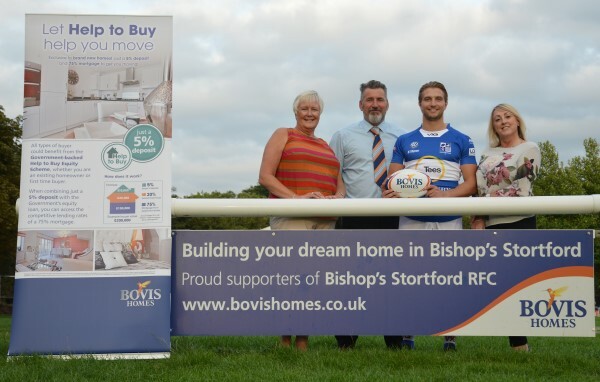 Local house builder Bovis Homes will be rooting for Bishop’s Stortford Rugby Club again this season, as their partnership continues into its second consecutive year. The Hertfordshire club has enjoyed much success over the last year, with the first XV promoted to National League 1 for the first time. 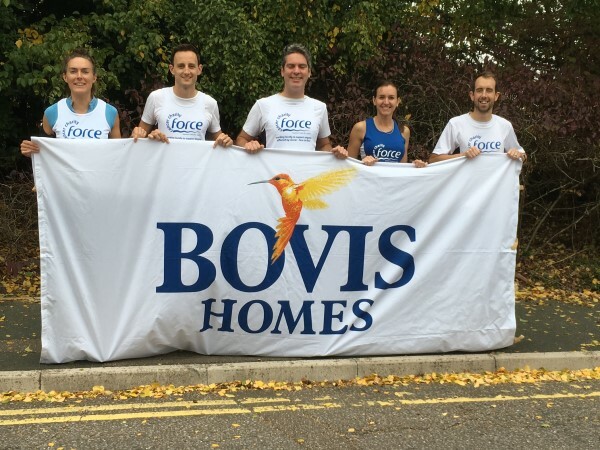 A team of runners from Bovis Homes will be putting their best feet forward to celebrate the house builder’s new sponsorship of the Basingstoke Half Marathon, which takes place this Sunday. 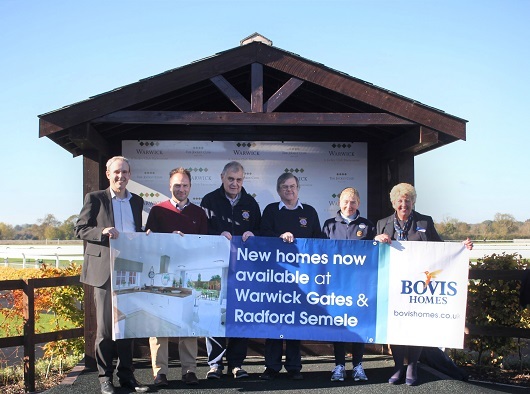 Bovis Homes, which opened its regional head office in the town last year, is now one of the main backers of the popular race. Leading housebuilder Bovis Homes has reaffirmed its commitment to providing much-needed new homes to communities across East Sussex with the purchase of a new site at North-East Bexhill. The site, which has detailed planning permission for 200 new homes, was brought forward by Bovis Homes in collaboration with Trinity College, Cambridge and constitutes the first phase of over 1,000 properties that will be built as part of the wider North-East Bexhill mixed-use development.